When you walk on your turf, is it spongy, soft and feel like a plush carpet? If you look at the sides of your turf, do you see a thick layer of brown, spongy material? Thatch is a natural part of the living turf and generally desirable. Thatch is a layer of dead turf material. Contrary to popular belief, it is not formed from the grass leaves that fall into the turf after mowing. Thatch forms for several reasons, but the most important is improper fertilisation. When grass is growing properly, it forms new roots, stems and leaves as the old ones die. As long as new grass is formed at about the same rate as the old dies, there will be no thatch accumulation, but when the grass grows faster than the old material can be destroyed, thatch accumulates. Thatch is destroyed by naturally occurring fungi. By applying too much fertiliser to your turf, you can cause it to grow too fast for the natural soil fungi to destroy it, and thus thatch accumulates. It is okay for turf to have no thatch if you like firm turf, but your turf will suffer if the thatch layer grows too thick. Do some grass varieties form thatch faster than others? Yes, some grasses, like bentgrass and smooth stalk meadow grass do form thatch much faster than ryegrass or fescue. However, even among the different bentgrass and smooth stalk varieties that are commercially available, you can find some that form thatch faster than others. 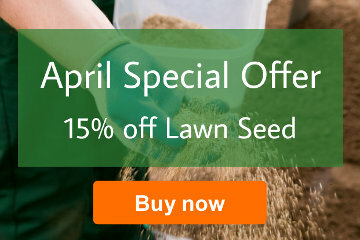 These grass varieties are made available to meet different needs. For example, a sports pitch requires both rapidly growing turf to heal itself and thatch to cushion the athlete's feet and body. 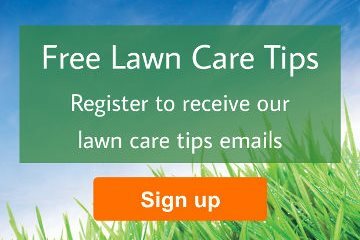 Lawns that receive little traffic or limited amounts of fertiliser should be made of less aggressively growing varieties. What cultural practices will help control thatch accumulation? The most important is to fertilise properly. Next, encourage the roots to grow deeply through proper watering and prevent your soil from becoming compacted. 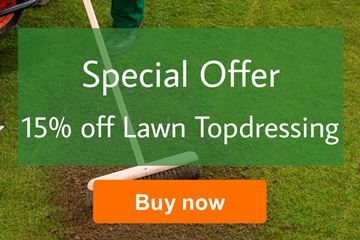 Light top dressing (Rolawn Topdressing can be used for this) with natural soils or amended sands which will encourage a greater rate of thatch decomposition. Mechanical de-thatching or scarification is the least effective means to reduce a thatch problem. De-thatching removes, at best, 30% of the thatch, and does nothing to reverse the cause of thatch production. It is recommended that de-thatching only be done in the late spring or autumn, and only when combined with proper fertilisation and watering. Thatch is a natural product of healthy turf. A thin layer of thatch improves the performance of your turf. Too much thatch is bad for your turf and indicates poor turf management.